The best gift I ever gave was a selfish gift because I got to have it, too. 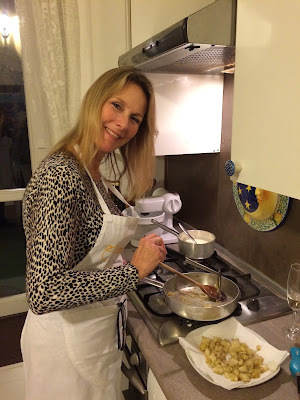 Last Christmas, I found to most amazing Milanese cooking class, and was so pumped to share the experience with my parents when they visited in February. 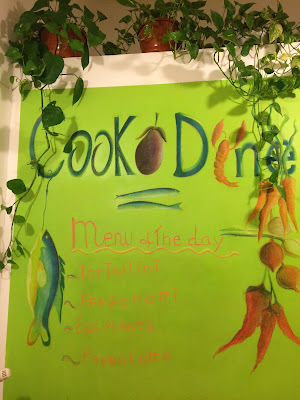 The class was with Cook and Dine Milano, run by the sweetest couple who work together as a team to create a memorable evening of great conversation and great food. After purchasing the class, the owner, Aurora, got in contact with me to choose a menu. 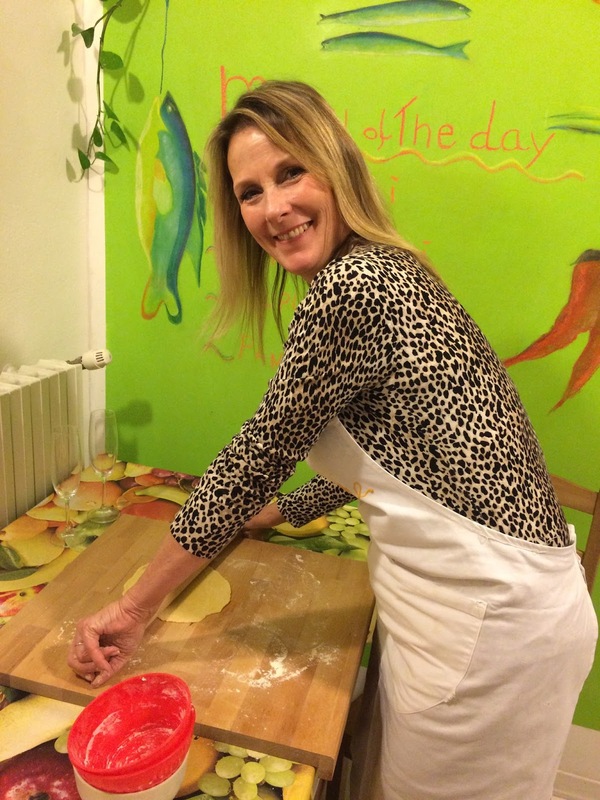 Her website share six different menu options with regional dishes from different areas around Italy, but she is flexible and mentioned a willingness to mix-and-match, as well as accommodate for dietary restrictions. Milan isn't really that gigantic of a city, but it's big enough that it could take an hour or more to get to certain parts of the city, so I rushed home as quickly as I could the night of our class. As it turns out, it wasn't even a full block away!! What are the chances of that?! Aurora spoke great English, and made us feel welcome immediately with a glass of prosecco and a plate of snacks. Her kitchen was big but simple, with nothing intimidatingly fancy or complex. We all jumped right in with different jobs to make our tasty meal. 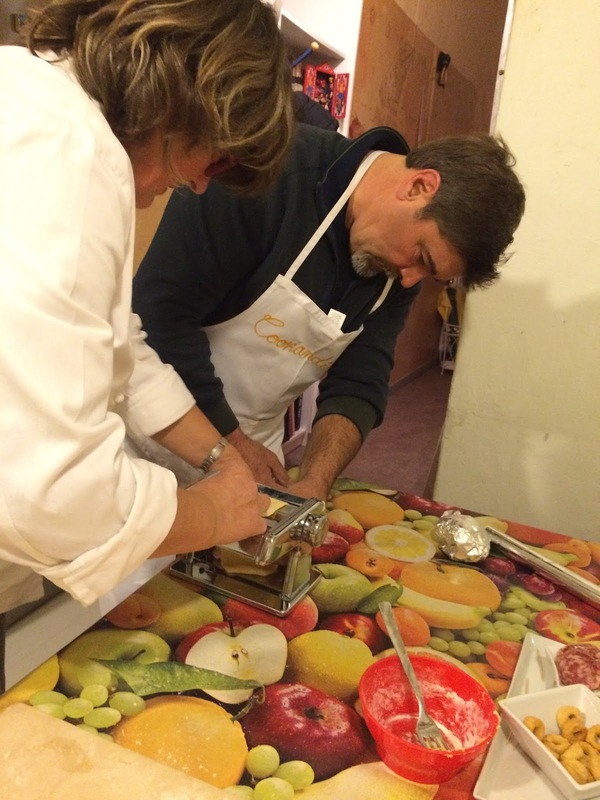 It took what felt like a very long time to prepare all four courses, with constant action the entire time. Aurora rotated between the three of us, always giving instructions. 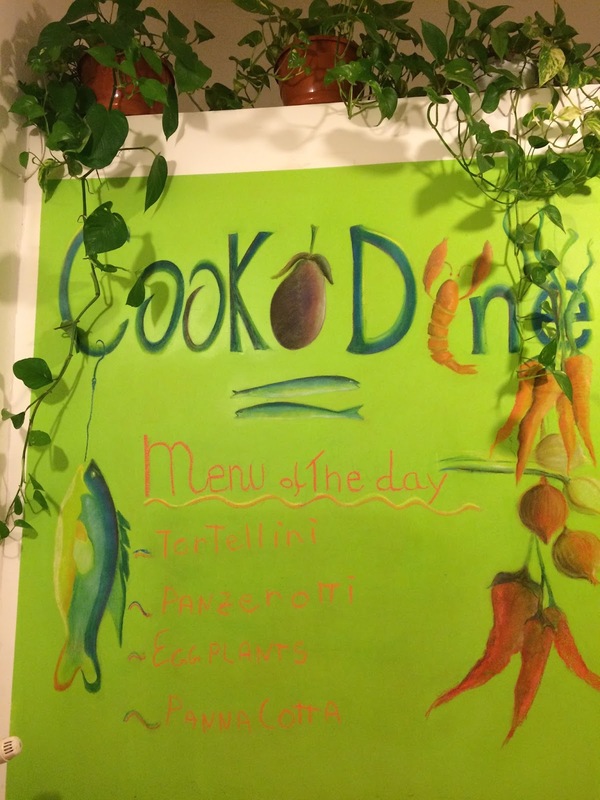 Over the next few hours we prepared prosciutto and mozzarella panzarotti, stuffed eggplant, tortellini and ravioli, and panna cotta. While every dish was delicious, the one I was most happy to learn to make was the pasta. I love pasta. It was surprisingly simple, with the actual pasta consisting of just egg, flour, and water (the stuffing was a little more complicated). All three of us were even more surprised at how peaceful making pasta actually is... Rolling our the dough, cutting the squares, filling and finally folding each and every peace was satisfying and almost zen. I've tried making simpler ricotta tortellini a few times since; it is quite a meditative process. Anyway, cooking with someone new is an experience by itself. 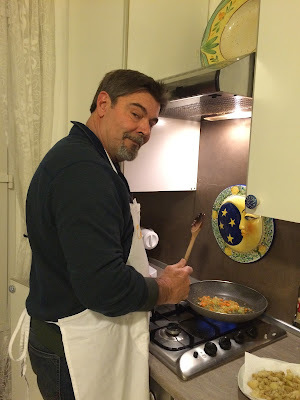 My parents are both great cooks; my dad is the breakfast and grill master, while my mom served mouthwatering, home-cooked meals every night when my sisters and I were growing up. I think we all have a taste for strong favors, but one person's "delicious" isn't necessarily the same as another person's. My mom loves Mediteranian herbs and spices, and was completely shocked that no garlic went into any of the recipes, and the only spice/herb used was a little nutmeg is the pasta filling! It was still completely amazing, but as big lovers of garlic, onions, basil, oregano, and parsley, we have all added a few extra ingredients to our recreations of the recipes. After cooking, Aurora cleaned up the kitchen while her husband joined us for dinner. It didn't seem fair that she had worked so hard and didn't get to enjoy the meal, but we definitely did! Her husband was a fascinating man, full of stories of the countries he's lived in and traveled to. We loved our experience together and the memories we made.